Brass has worked with New Look on the retailer's new promotional campaign online and across more than 600 retail stores in the UK & ROI. The campaign encourages customers to ‘Shop Styles, Get Prizes’, with £1million of style prizes to be won. 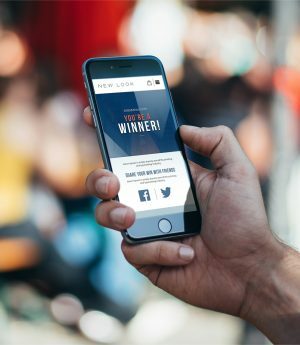 The Leeds agency’s dedicated shopper marketing team created and delivered the campaign to help New Look engage with its savvy shoppers in-store, online and on mobile. Tasked with increasing transaction levels, Brass developed a marketing campaign prompting customers spending £30 or more to photograph their receipt and upload, email or text to receive a promotional code. Brass created in-store POS and built the promotional website, allowing customers to enter for a chance to win prizes or a 25% discount voucher, and partnered with Snipp Interactive to validate the photographed receipts. The Brass Shopper marketing team has also created promotional campaigns for the likes of Haribo, Soreen and Kellogg’s.